After last December’s visit to the CFBX radio station on campus here at TRU I signed up for their program to be trained as a DJ. While my time here is likely too short to put the name on the schedule, I wanted to learn some about how it works. Brant and station manager Steve were more than willing to let me get trained. Heck, I might be back some day. Today I did one of the required sit ins to watch an experiences broadcaster work. 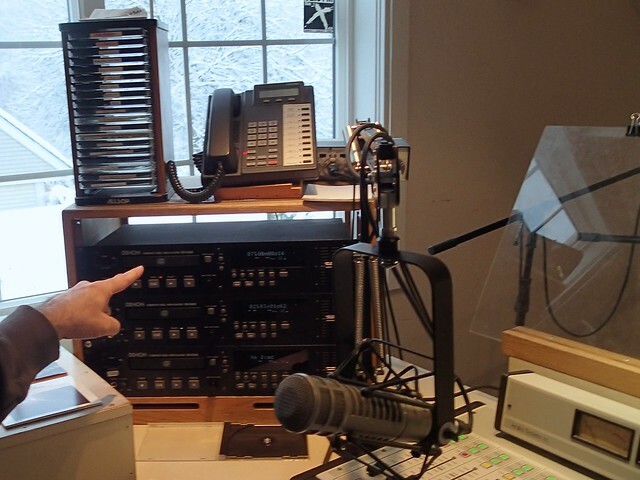 Brant was more than willing to let me in the booth for his Monday afternoon blues show– and he was okay with my doing a live #ds106radio broadcast of our conversations as he ran his show. I did set up my laptop back in my room to archive the broadcast- this as done by setting my system output to a Soundflower 64 channel, playing the radio via the web player and setting the input to Audacity to this same source. The quality is pretty poor, I should have set Papaya on my iPhone (my transmitting app) to use something higher than 32k for stream bit rate. But oh well, because futzing. I did get a recording, and ran it through The Levelator to even out things. It was a great hour to watch how everything flows, there’s logs to be kept, PSAs to be read, station IDs to be played, and a clock to be watched. It’s quite more organized than DS106 radio! I’m grateful to Brant for the time and answering my peppered questions. 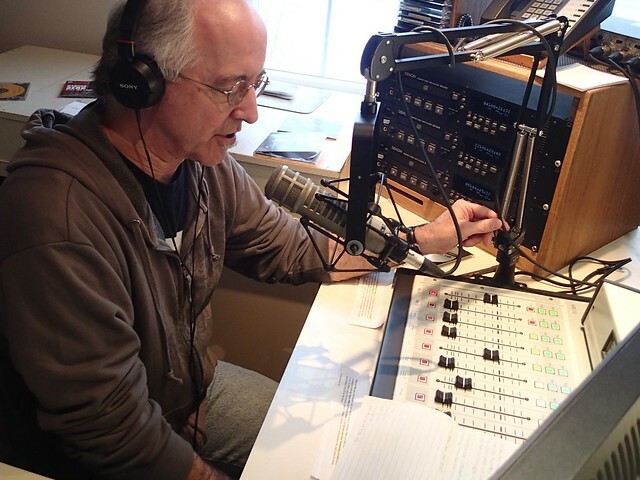 Even if I do not go on the radio here, I do have a chance to do some community radio back in Payson, AZ. Thoroughly enjoyed listening in on your station visit. 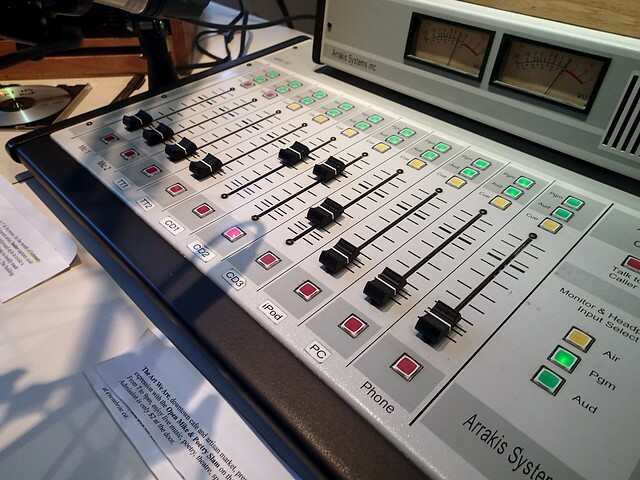 The talk-through of the Board definitely brought back memories of my own DJ training at WMUC in College Park. Also reminded me of how unique and (good) challenging it is to DJ live, on the Radio. I especially like your “what if something goes wrong” convo. p.s. Your #ds106radio broadcast sounded just like it should… fuzzy and /live, as it is.